Carpet Cleaning Hendersonville offers healthy services package, providing a comprehensive, Eco-Friendly solution to the problems described above. The phrase healthy cleaning can be interpreted in two different ways. On the one hand, it can refer to using healthy, non-polluting home cleaning methods and products. It can also be refers to intensive clean-up sessions that actually improve the overall health of your carpets, upholstery and rugs, making them not only look better, but last longer. In either cases, the most logical choice for healthy home is Carpet Cleaning Hendersonvislle, premiere commercial and residential services. Your indoor environment is gradually reducing and over time your house will become unhealthy. We at Hendersonville Carpet Cleaning knows that no matter how often or how well you clean your home, you can expect a fair amount of dirt and dust to make its way well below the surface of your carpets, rugs and upholstery. While regular vacuuming does wonders for visible dirt, vacuuming alone is not enough to remove embedded dirt and dust. The results of this build-up cam range from aesthetic issues such as unpleasant odors and discoloration to health issues, like respiratory distress. One more possible side-effect can be fabric or fiber degradation, which inevitably will require you to replace or reupholster the affected item. We use Eco-friendly cleaning products and state of the art, truck mounted machines. Carpet Cleaning Hendersonville provides intensive rug and upholstery cleaning that promised to remove embedded dirt, carpet stains and pet odors without introducing toxic chemicals or harsh detergents into your indoor environment. Call the experts of Carpet Cleaning Hendersonville and Improve the health of your interior design elements, without jeopardizing the integrity of your indoor environment. 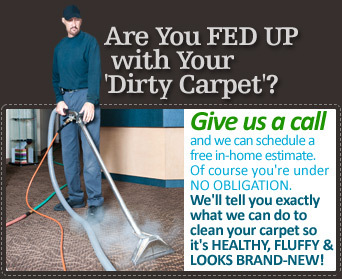 Call Carpet Cleaning Nashville at 615-346-9262 today for a free quote. Don't forget to ask about our special services, such as our oriental carpet cleaning.